Do these guys ever take a break? It sure doesn't look like it. 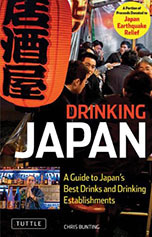 I'm talking about the people in the hard liquor section at Shinanoya, of course. 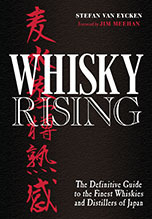 They don't leave a stone unturned in their search for exclusive bottlings and will literally look everywhere in their quest to bring Japanese whisky enthusiasts the very best the world of whisky has to offer. Fresh off the success of their incredible quintet of Japanese whisky releases to celebrate their 5th anniversary, here they are with two single cask Scotch malts - a 1977 Glenlivet and a 1982 Glen Mhor - sourced from independent bottlers Wilson & Morgan and The Cooper's Choice respectively. 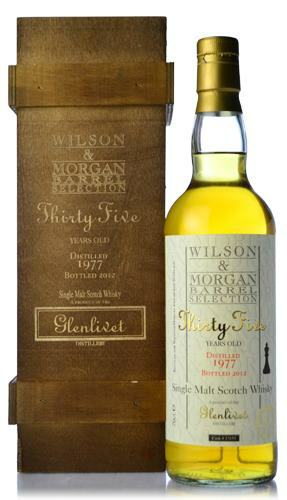 The 35yo Glenlivet was drawn from a refill sherry cask and bottled at 49.6%abv (192 bottles). The initial impressions, on the nose, are: butterscotch, apple sauce and freshly cut grass in spring. After a while, you get hints of lemon tart and "far breton", as well as subtle floral hints and something like a burning haystack in the background. Water brings out this element a bit more and adds a strong peach note. On the palate, waxed wood notes mingle with meringue and mandarin oranges - the balance between sweet, bitter and sour is quite sublime here. The finish is medium long, with the apples making a return drizzled with a touch of Napoleon liqueur and a bit of pink pepper sprinkled on top. Lovely. On to the 30yo Glen Mhor, a single hogshead bottled at 59.0%abv yielding 222 bottles. The nose is much more herbal and floral, compared with the Glenlivet. The herbal notes - spearmint and rosemary - really stand out, but there's more going on. You've also got forest notes (a forest after rain), a bit of vanilla, a hint of cherry liqueur, black tea, some orchard fruits (overripe pears) and a faint "basashi" (raw horse meat) note. It makes quite an impact on the palate, a litte dry but rich with cherries-soaked-in-kirsch and apricot jam. The long finish surprises with notes of milk chocolate, cafe mocha and toasted coconut shavings. The Glen Mhor is more of an early-evening dram, whereas the Glenlivet would be the perfect substitute for afternoon tea. If I really had to choose, I'd go for the Glen Mhor - it's a bit of a surprise for the senses, but not in a crude way. Everything's beautifully integrated. Then again, if you ask me tomorrow afternoon, I may go for the Glenlivet. I guess, for the whisky drinker, inconsistency is just the moment's search for the pleasure that fits best. For the bank account, it's something very different, of course... but let's ponder that in the morning, or after February 8th, which is when these two beauties will go on sale.